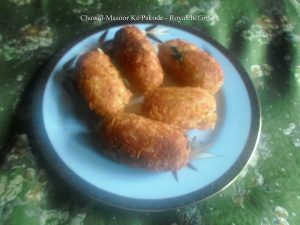 This is a Recipe for making at home crispy and delicious Rice – Lentil Roll Pakore or Chawal-Masoor Ke Pakode. 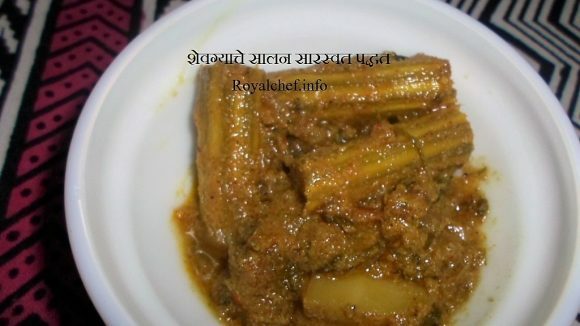 This Pakore recipe makes the use of Masoor Dal, Cooked Rice and Potatoes as the main ingredients to prepare a tasty snack, starters dish or an add-on to the main course meals. Boil the Potatoes, peel them and shred them, mash the Green Chilies and Ginger, prepare Bread Crumbs, chop the Coriander leaves. In a Pressure Cooker cook the Rice and Lentil separately. Mix the cooked Rice, Lentil, mashed Potatoes, green Chilies-Ginger, Bread Crumbs, Lemon Juice, chopped Coriander leaves, Salt and prepare a Dough. Prepare 12 medium sized Pakode Rolls from the Dough. Heat the Oil in a Kadai and deep fry the Pakode Rolls till they become light brown or crispy.